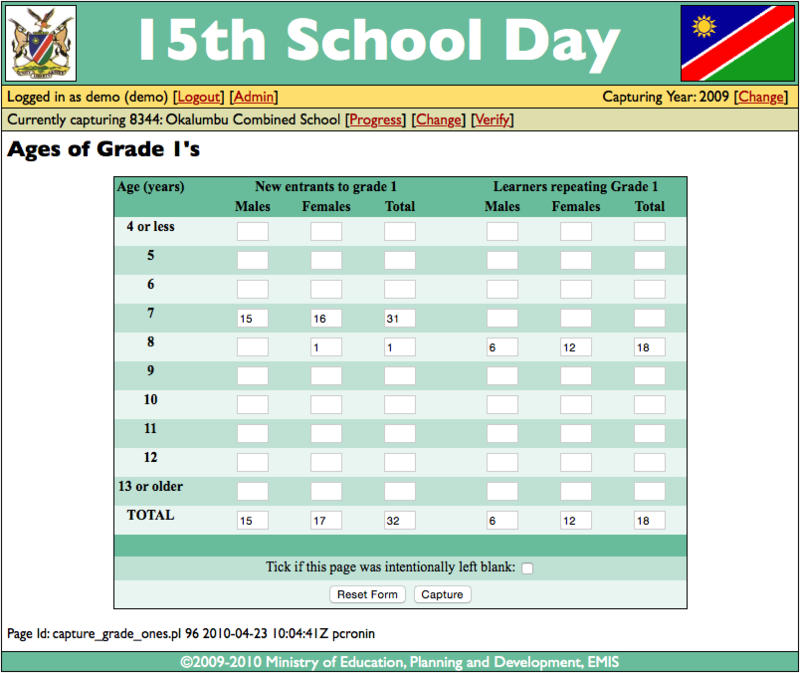 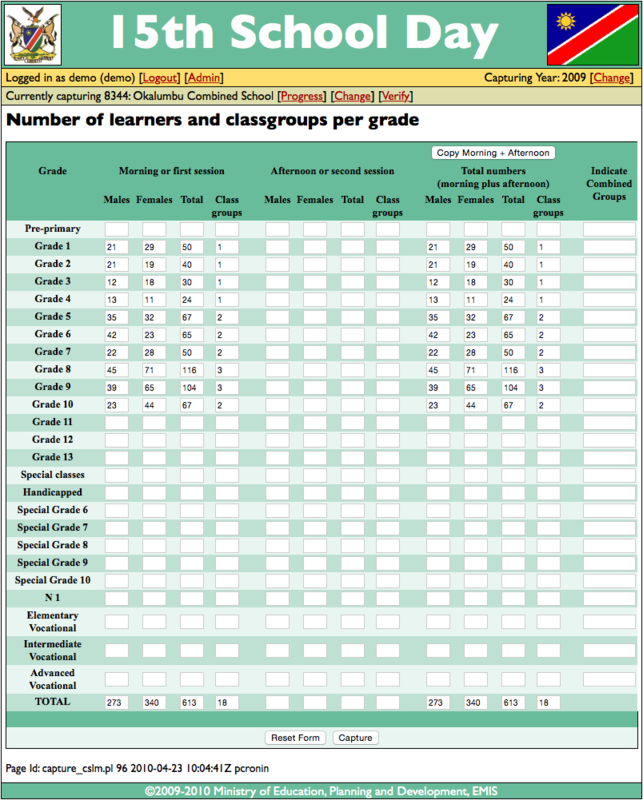 At the beginning of each school year in Namibia, the Ministry of Education conducts a survey to collect key information that supports resource-leveling and planning processes for decision makers. 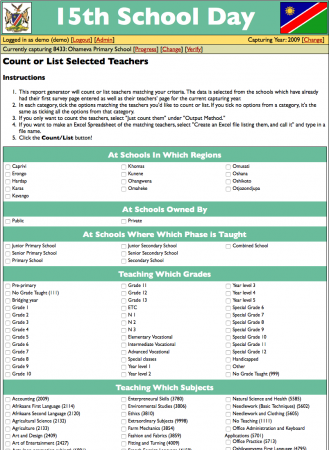 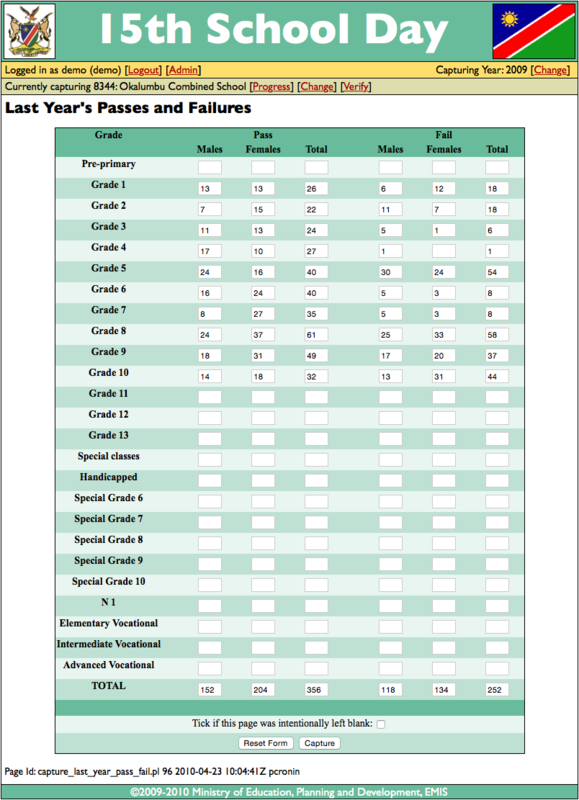 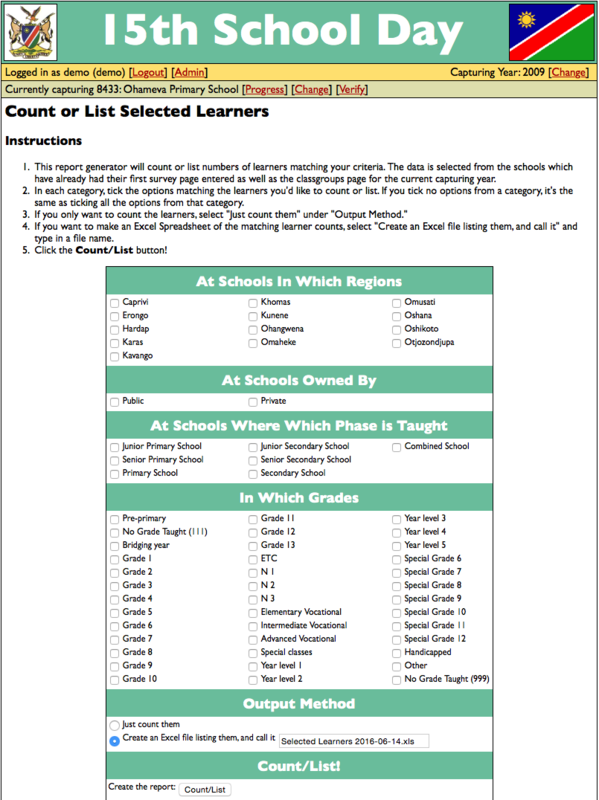 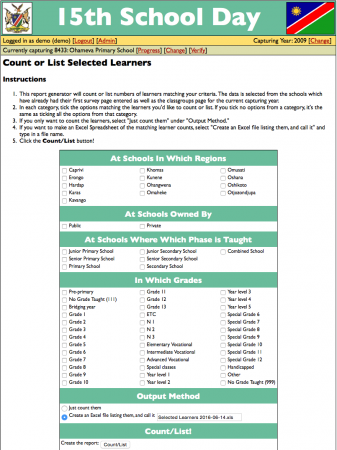 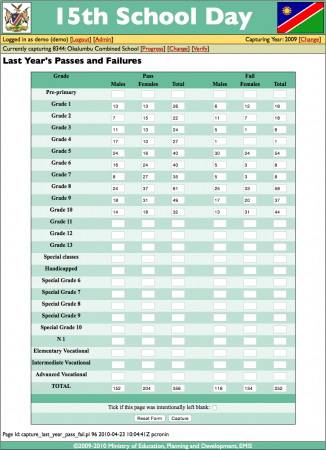 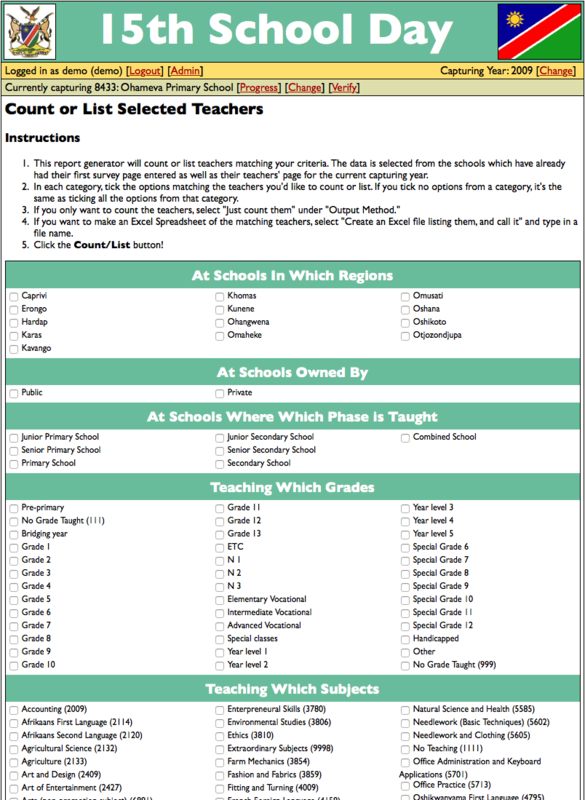 The survey form was printed by head office and distributed through the hierarchy of Region > Circuit > Cluster > School. 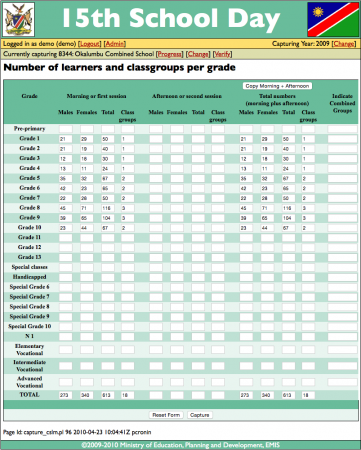 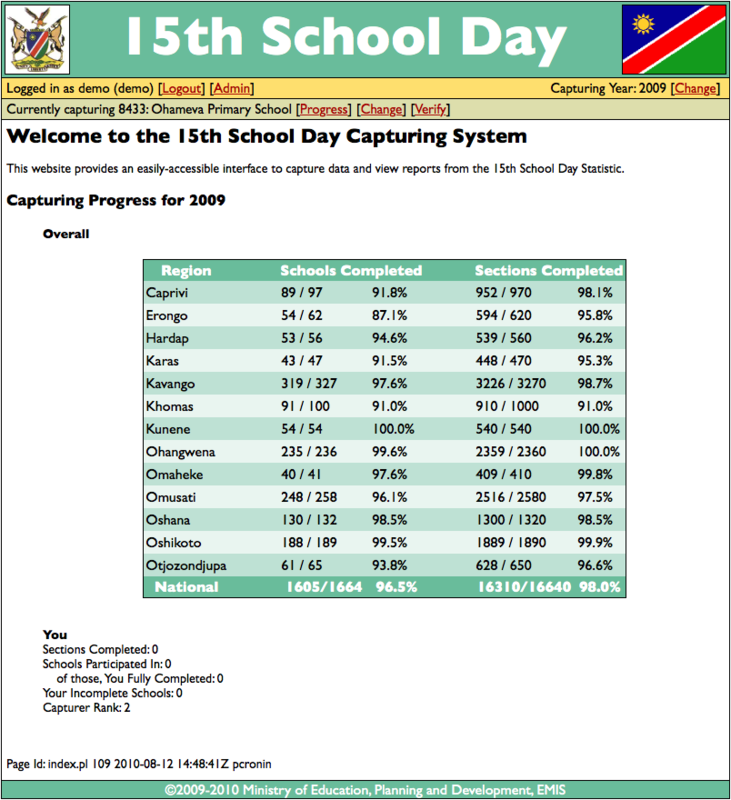 When schools returned this data to head office, it needed to be captured into a computer system as quickly as possible, and then the results shared to decision makers as soon as possible. 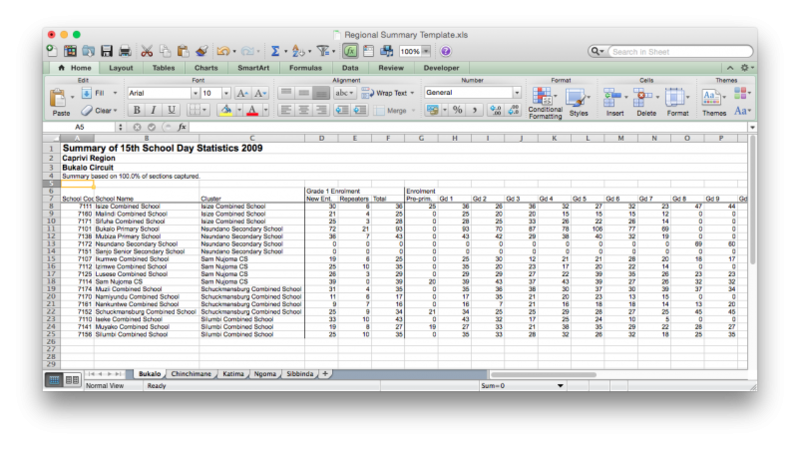 Various inefficiencies at head office meant that the information didn’t reach decision makers as quickly as it could have. 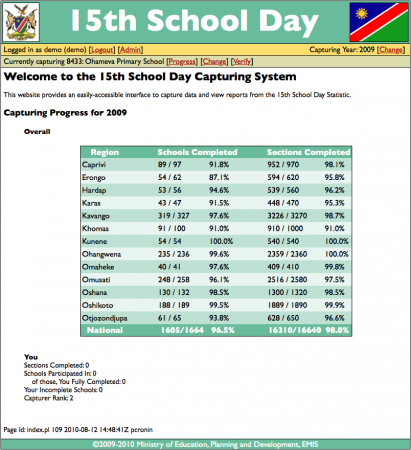 As part of his role as Database Programmer, Patrick designed and developed a data capturing system based on the survey form that could be installed in offices of decision makers directly. 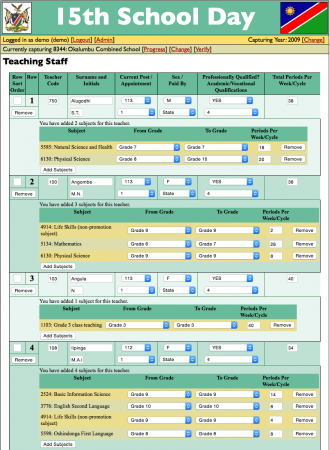 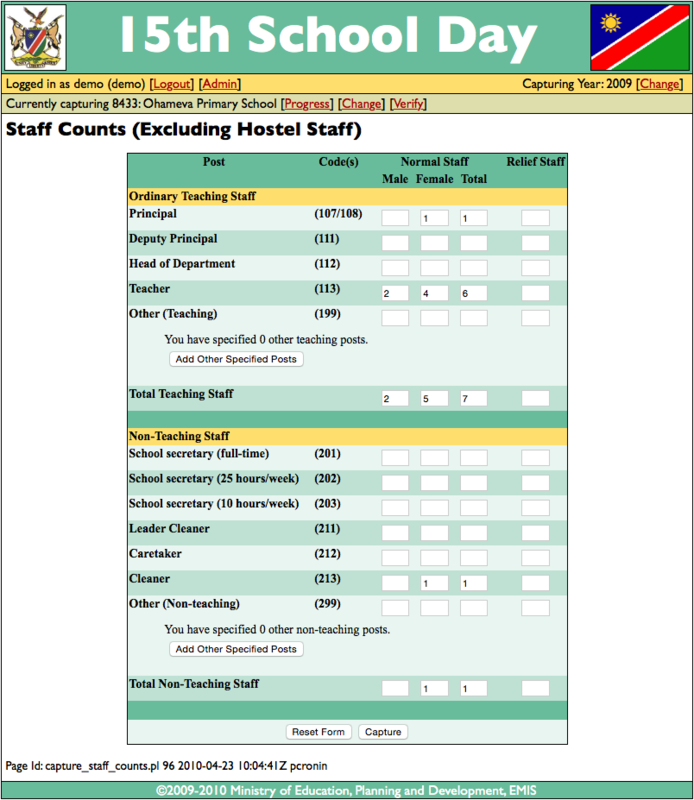 Staff at each office could collect and capture the data for the schools within their Circuit, and the system was able to generate the required reports right there, without sending the data to head office for further processing. 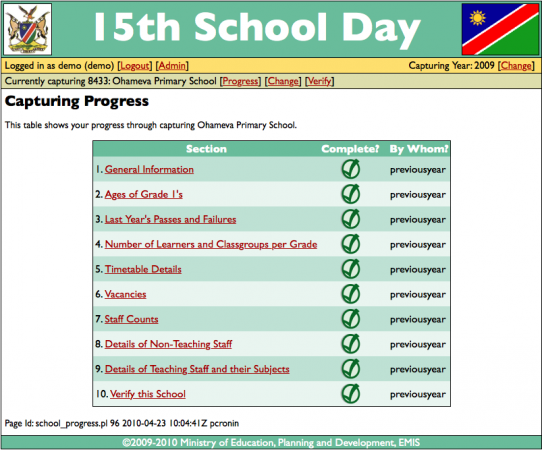 It marked a much more efficient way of getting needed information to decision makers. 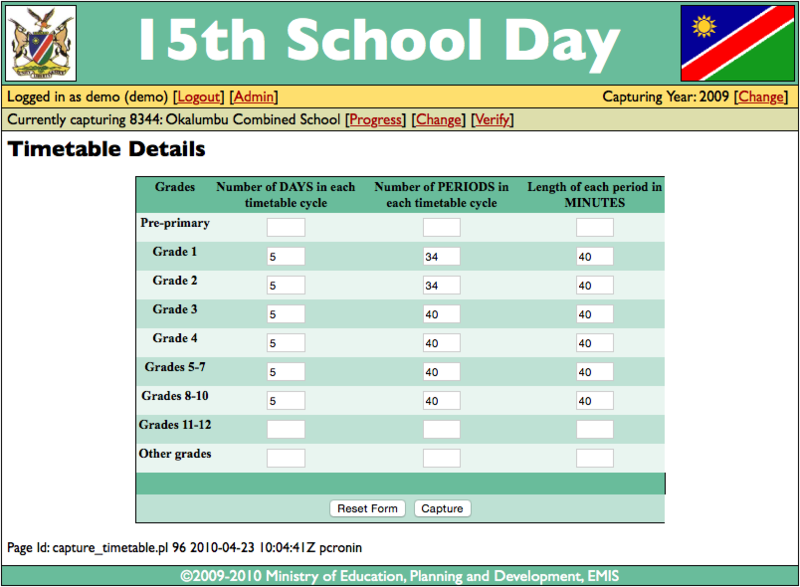 An important design feature of the system is that, while it could be used to capture only a small portion of the total number of survey responses, these responses can be easily exported, and emailed (or snail-mailed) to head office for records purposes. 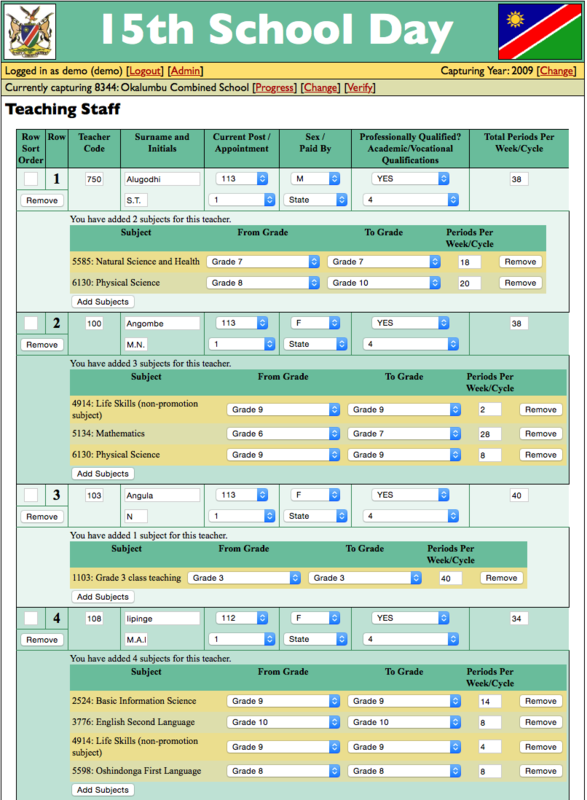 I’ve set up a live demonstration of this system here. Login with username: “demo” and password “demo”. 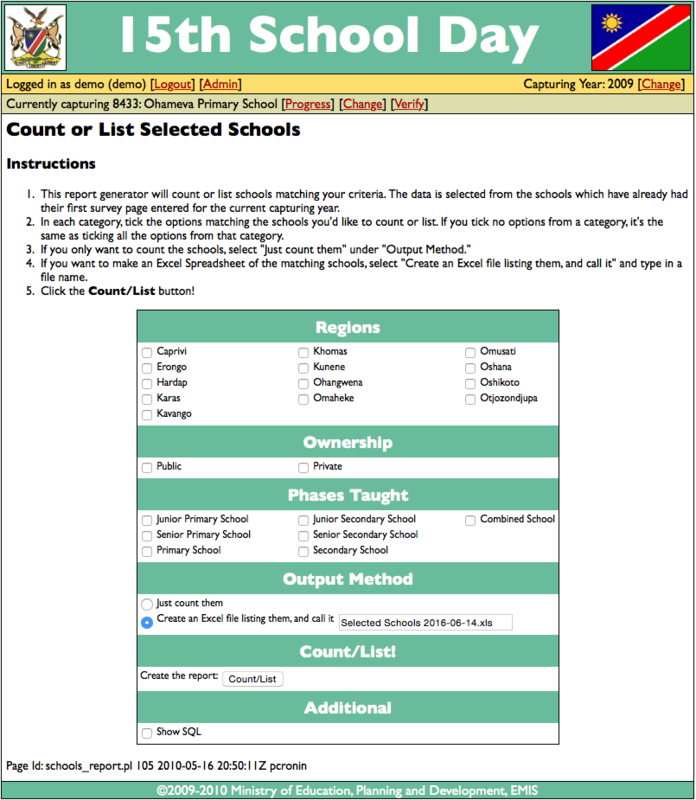 Next, you’ll want to select a school. Click on “Select a school to capture” and enter the school code 8344. Then, visit the Progress screen (by clicking the “Progress” link), and you’ll be able to visit each capturing screen. 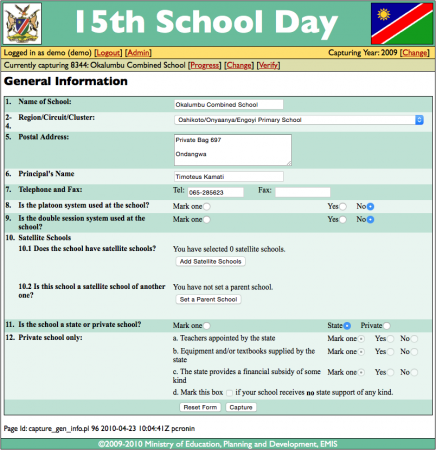 Reports can be found at the bottom of the Admin section (click on the “Admin” link in the header to find them).